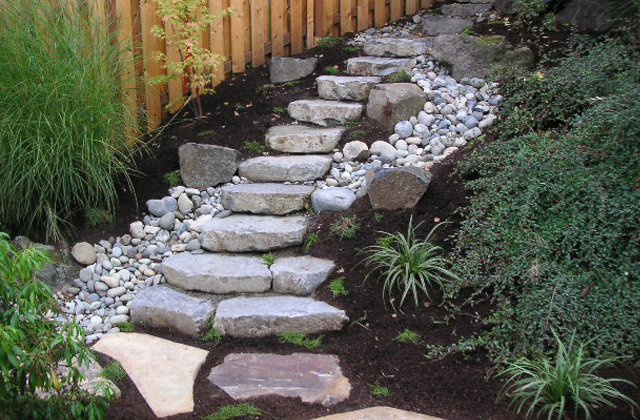 Canadian Basalt steps and risers are quarried in multiple quarry areas in and around Whistler, British Columbia. 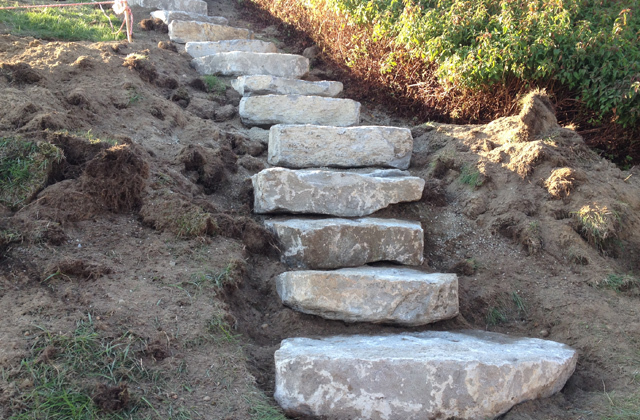 This stone step is a natural top and bottom and varied for slip resistance with all natural weathered edges. A grayish coloring is typical with some beige weathering tones.